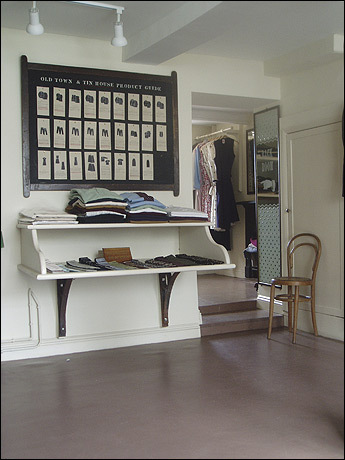 Old Town, a clothing line and shop in Holt, England, features clothing based on a post-war work wear aesthetic and utilitarian, no-nonsense construction. I love their style! 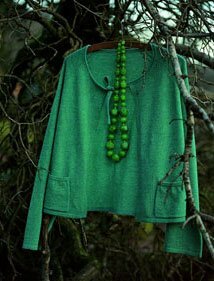 Saltwater, another British company with an adorable clothing line and very talented stylists and photographers. Yum....loving the *Saltwater* catalog - very well styled indeed! I can certainly vouch for Old Town. I love the whole process of going to their shop, making a purchase and then waiting six weeks for it. The excitement when the door bell finally rings and there is a brown paper paper package waiting to be opened is almost too much to bear. Everytime I visit your blog, I admire your banner. Very cool!